Make ice cubes out of fruit juice or coconut water for added flavor. Select your favorite green thing i.e. spinach, parsley, broccoli, collards even the mesclun greens/spring salad mix and toss a handful or two in your smoothie. Use infused water in your smoothies. Infused water has zero sugar and calories but lots of flavor. It's extra work, but well worth it. You can always add 1/4 cup of Organic whole oats & 1 tablespoon of organic flax or organic chia seeds (per serving) for a power packed hearty breakfast. If at all possible, use all organic produce. Freeze your own fruit. When adding fruit to your smoothie, I find that it's better if the fruit is frozen. Make a habit of storing overripe fruit i.e. pears, bananas, mangoes, avocados in the freezer for future smoothie use. Just remember to peel the ones that have skins you don't eat. And make sure you chop the fruit before freezing. Instead of using stuff like honey, agave and commercial fruit juices to sweeten your smoothies - use overripe bananas or sweet apples like golden delicious, fuji or honey crisp. Want some zing to your smoothies? Add a little spice like a pinch of cayenne pepper, ginger, turmeric or cinnamon. Spices also adds a little health benefit as well as jump start your metabolism in the morning. Start with your blender on the lowest speed and slowly work your way up to high. As you see the big pieces begin to break up and a vortex starts to form in the center, you can then add more speed. You may have to add more liquid to get the vortex started. Use tea instead of water, milk, or juice as the liquid of your smoothie to boost the nutrition. Buy your fruit when it's in season and cheaper. Then freeze it to use when it's not in season and costly. Wash and scrub fresh fruits and vegetables thoroughly under running water. Washing helps remove dirt, bacteria and traces of chemicals from the surface of fruits and vegetables. Not all pesticide residues can be removed by washing, though. Add liquids to achieve the desired consistency or texture. If you want a slushy add just enough liquid to create a vortex. If you want it thinner, smoother or creamier add more liquid (yoghurt, soy/almond/coconut milk, etc.) and puree until the desired texture is reached. 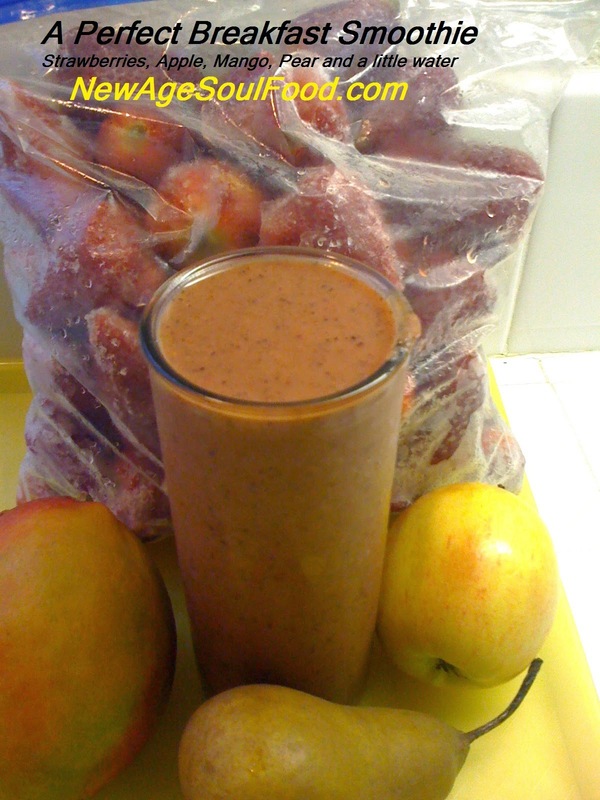 To thicken your smoothies, blend in frozen fruit. Berries, melons, bananas, apples, mangoes, pineapples, pears, avocados and peaches are all excellent fruits to freeze. To freeze fruit, first wash, peel if needed and dice or slices. Place prepared fruit on a cookie sheet in a single layer and freeze. Once frozen, transfer to freezer bags. Avoid adding sugar, dairy or large volumes of seeds, oils, nuts or any supplements whatsoever to your green smoothie. Less liquid first - It's better to add too little liquid than too much. You can always add more liquid as needed. Liquids that are great to use in smoothies to keep them low fat/sugar: water, green tea, coconut water, fresh juices that you've just made yourself. A splash of orange, lemon or other citrus and ginger enhances the taste and nutritional value of your smoothie. If you're new to smoothies, start out with the fruit versions with a hint of mint, parsley, basil or cilantro. Green smoothies tend to taste better when you use 60% sweet fruit to 40% greens, by volume. 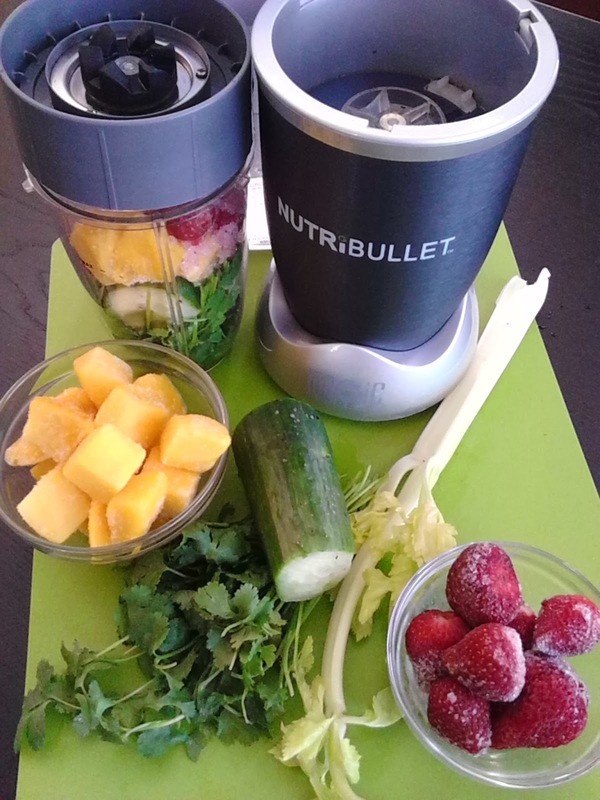 You can make a smoothie with any type of blender. Oh course with a high speed blender it takes seconds to make a creamy smoothie. And with your basic kitchen blender it could take a few minutes. Rule of thumb is to blend liquids and frozen product first. My blender does not cooperate with the rule of thumb. I have to blend my liquid and fresh vegetables first in order to get a smooth and creamy blend. So do what works best for your blender. 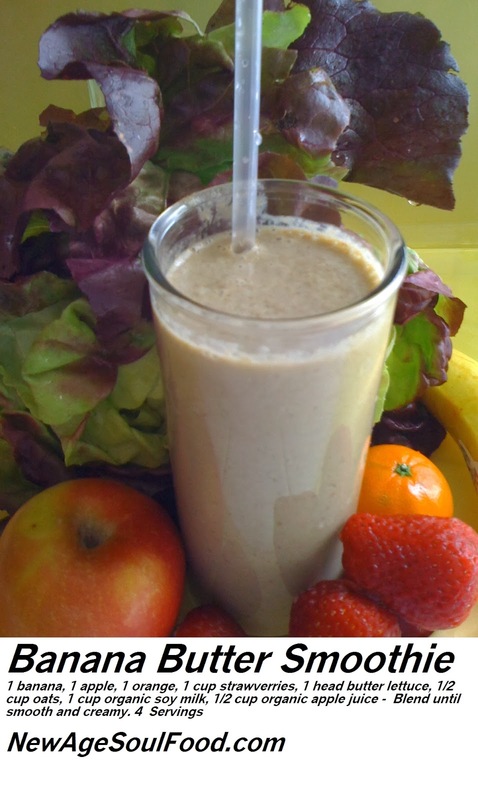 For creamy smoothies use avocado, fresh coconut meat, pure creamed coconut, or raw cashews, macadamias and almonds. Mint is a great addition to green smoothies. Aside from enhancing the flavor, mint aids in digestion; helps alleviate nausea, headaches and respiratory issues.Asthma suffers can find relief with regular use of mint. 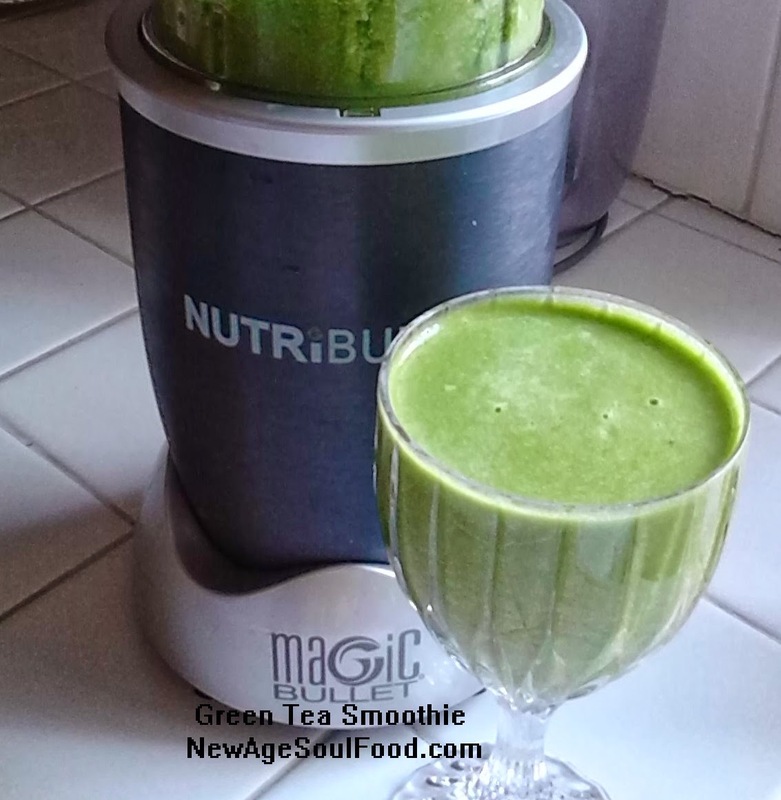 For green smoothies a tablespoon or two of coconut oil adds good creaminess and a nice coconut flavor to the mix. You don't need a recipe to make a healthy smoothie. Just start out with the 2 - 3 fruits you like, water and a handful of spring mix or spinach or any lettuce. Just remember to refrain from using processed ingredients. Smoothies are the healthiest fast food for folks on the go. You can make your smoothie the night before and store it in your fridge for up to 2 days. Use an airtight glass container (I like ball canning jars) to keep it as fresh as possible. Shake thoroughly before drinking. To save time, prep the ingredients when you have time and store them in freezer bags. Green leafy vegetables and herbs don't have to be chopped. I freeze my greens/herbs including lettuce whole (stems included), they break very easy once frozen. I just make sure I use the lettuce and other leafy items within 3 months. A good smoothie should be perfectly smooth, with some help from a high fat ingredients.